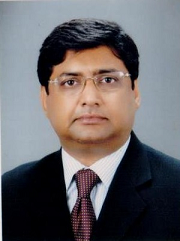 Asif H. Khan, the CEO of Zoha Associates is a seasoned professional having almost 3 decades of professional work experience in MNC & NC at senior level in various organizations. Asif holds Master’s degrees in Chemistry and Business Administration. He specializes in opportunity identification, strategic market planning, pricing, and sales forecasting, motivational work ethics with a successful record of building new businesses. 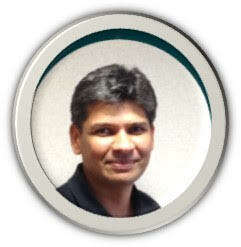 Asif has a keen interest in re-engineering of processes and streamlining strategies. He is a think tank in himself; proficient in wearing multiple thinking hats and has credit of establishing companies from embryo stage to operations. Mona, is a seasoned professional having 26 years of experience in various industries. She holds a Bachelors degree in Law, in addition to several certifications from Fellow Life Management Institute-USA. She plays an instrumental role in managing the overall activities with the CEO and for the Company. Mona Started her professional Career with a Tax Consultant of Supreme Court of Pakistan, she then moved to American Life Insurance where she successfully set up entirely new departments, re-engineered processes and trained the sales force. From there she entered into the Telecommunication Industry and worked in management positions for 16 years in Customer Services. She is now with Zoha Associates and perusing her dream of human capital development and mentoring aspiring individuals. 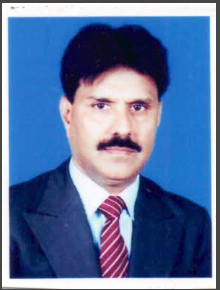 Mr. Khan is a seasoned and articulate professional with over 3 decades of worldwide diversified work experience in Supply Chain, Logistics, Marketing / Sales and International Trading. His deep rooted passion for management & his understanding of planning and management in Global cultures makes him an excellent Life Coach. 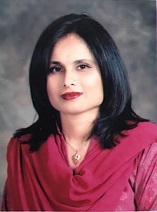 Saima is our In-house Psychologist holding a master’s degree in Psychology. She also holds several Certifications on different branches / areas of Psychology & is working towards her Diploma on ‘Counseling & Psychotherapy’. She has been actively involved with NGOs focusing on the plight of the women in our Country. She is also actively involved in individual counseling sessions. Her areas of expertise are Self-Awareness, Stress & Anger Management, Personal & Self Analysis, Mind Body Balance Mindfulness, Motivational Growth & Emotional Intelligence. has been writing, negotiating & providing consultancy on commercial contracts since 2011. 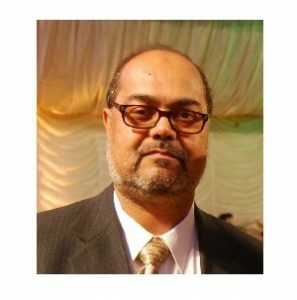 An MBA from Master of Business Administration (MBA) & Vendor Alliance Management (Southampton University-UK), Saffan has deep rooted passion for the subject and has provided his professional guidance & services for clients like BBC, Rolls Royce, Atos, Fujitsu, Kyocera, HP, Boeing and Shell Gas. Saffan has also been delivering lectures in Southampton City College & Guildford College on Statistics and Business Management & Finance. Saffan has been successfully negotiating & writing commercial contracts involving huge stakes as high as high as US$18 Billion. His in-depth knowledge, expertise & experience is in Commercial and Contract negotiations, Mitigation of Legal & Commercial Risks, Controlling & Managing IT Budget, Implementation of Commercial Policy, Management of Multiple Service Contracts, Commercial Governance, Managing Exits, Procurement Contracts, Planning Agreements, Vendor Obligations. Currently he is Head of Commercial Management in Barnet Enfield and Haringey Mental Health NHS Trust. The Trust has an income of £192m annually and IT user base of 3500. Lt. Col. (Retd) Ali Husnain brings with him a highly dynamic and successful career in education spanning over 2 decades. He has held the position(s) of Principal leading co-education Institutions up to degree College level of national repute. Administered F.G boys and girls schools and colleges as a Regional Director of Education where students achieved distinctions in Academics, Extra and Co-curricular activities. Taught and administered Potential Army Officers (Gentlemen Cadets) at Pakistan Military Academy (PMA) Kakul and at Military College Jhelum. He has also held the position of Principal at several other educational institutions during his professional career. During his illustrious career as an educationist, Lt. Col. (Retd) Ali Husnain prepared teaching and non-teaching staff of education institutions by imparting and arranging refresher courses, seminars, group discussions and formal training (teaching, learning and presentation) programs. Lectures on Motivation, Counseling and developing teamwork spirits are the special concerns. Leadership & Management. Lt. Col. (Retd) Ali Husnain holds a M.SC (Economics), M.A (Economics), Advance Education Administration (M.A Education), Diploma (Montessori) Pakistan Montessori Council & several others courses & diplomas in the education field. 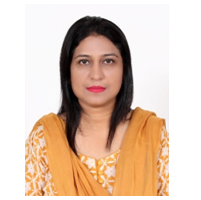 Dr. Afsheen Anwar is an independent human development consultant with a Ph D in Psychology and over ten years of experience of teaching, training and research. She has worked with national and international organizations of high repute including International Labor Organization (ILO), the Aga Khan Foundation in Pakistan, Tajikistan and Afghanistan and Maastricht Management Institute of Management, Netherlands for training, research and project management. Her areas of expertise in training include, gender analysis and mainstreaming, organizational management, qualitative and quantitative social research and project development and management. In addition, she also consults with organizations for research, training and counseling projects and serves as a visiting faculty for institutions like IBA, Bahria University and Iqra University. Is a dedicated, resourceful and an innovative individual who worked for more than two decades in MNCs and other national companies in different capacities of middle management and senior managerial positions. She holds a Textile Engineering Bachelor’s degree specialization in Textile Chemistry and a Master’s in Business Administration specialization in marketing. She has significant skills towards management, and conducting quality audits and overall management assessments, training, research & development for textiles and chemical industry. While working for ICI Pakistan Chemicals business she worked for developing and implementing marketing strategy for the business. Moreover, she has an experience of assessing the leading textile manufacturing companies of Pakistan as a technical lead assessor for ISO 17025:2005 Accreditation on behalf of PNAC –Ministry of Science & Technology. Additionally, she worked as an IRCA certified freelance lead auditor for ISO 9000 quality management system for state-of-the-art companies. 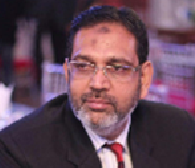 Tariq is a meticulous, result-oriented, and highly accomplished professional having excellent knowledge of all the techniques and tool of operations management, human resource, finance operations management forecasts and monitoring business aspects. He is an MBA in Finance and Human Resource and has over almost 32 years of experience working with various Multinational and large National Organizations. Tariq worked and achieved success in the public development sector, consumer goods, engineering, export and textile. Tariq started his professional career with Descon Engineering as Chief Accountant of one of its subsidiaries Descon Mechanical. Tariq then joined ICI Pakistan and worked on a senior level in different business units and functions. Tariq played a very important role in streamlining the operational procedures and policies at ICI in the areas of Finance, Administration and Human Resource. After working with ICI for almost 12 years, he joined a large local group of companies called Technical Associates operating in the areas of Construction, Paints and Chemical Manufacturing, Imports and Exports, Airlines, Security Services etc. Tariq was based in Karachi handling the imports and exports division of the group and was again chiefly responsible in streamlining the overall operations of the business. Tariq then joined a not-for-profit organization by the name of Zindagi Trust where he acted as the Head of Finance of the Trust developing financial controls and polices during the early stages of the trust and successfully implemented them as well. Tariq then joined NH Consultancy has been responsible for handling the areas of Finance , Human Resource and Operations. While working with NH Consultancy worked on various projects .i.e. Aman Foundation. Pakistan Poverty Alleviation Fund, RVFC (Military Dairy Farms), Engro Fertilizer , ILO, World Bank , UN women and many more.